The Chameleon 4 LIN has a choice of dual colors red and blue or solid amber flashing signals. 48 Watts of Code 3 lights gets you to the emergency scene; then the same 48 Watts flash amber with a push of a button to direct traffic, and it all comes from the same dual color traffic advisor light. The “4” has Linear 1 Optics that spread far and wide and are made of polycarbonate material that is tough, resistant to scratching, and stay clear in all weather conditions. This model has 4 modules with 4 Generation IV 3-Watt LEDs in each. 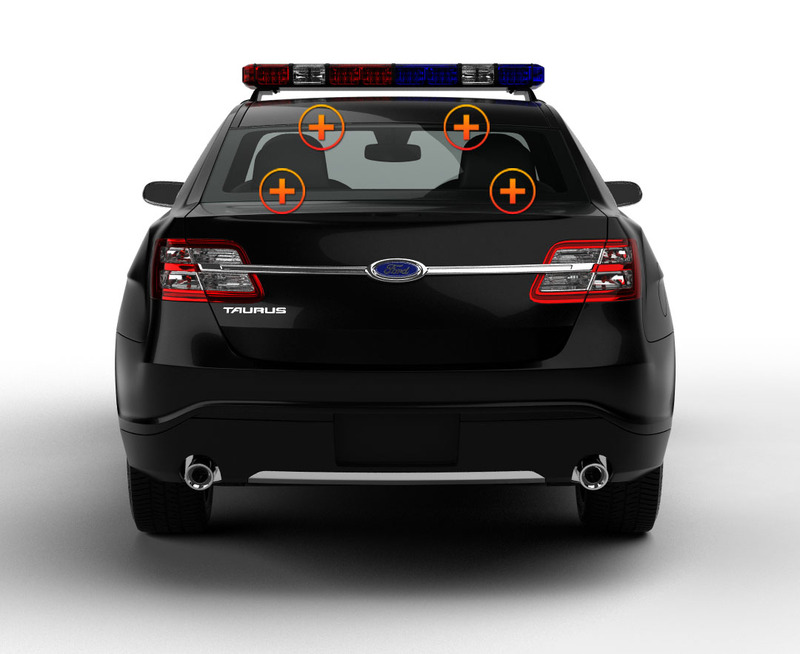 It can be installed inside or outside of your vehicle in multiple locations: dash, push bumper, main deck on a POV, on a roof rack, or even on the back window of an SUV fleet vehicle. 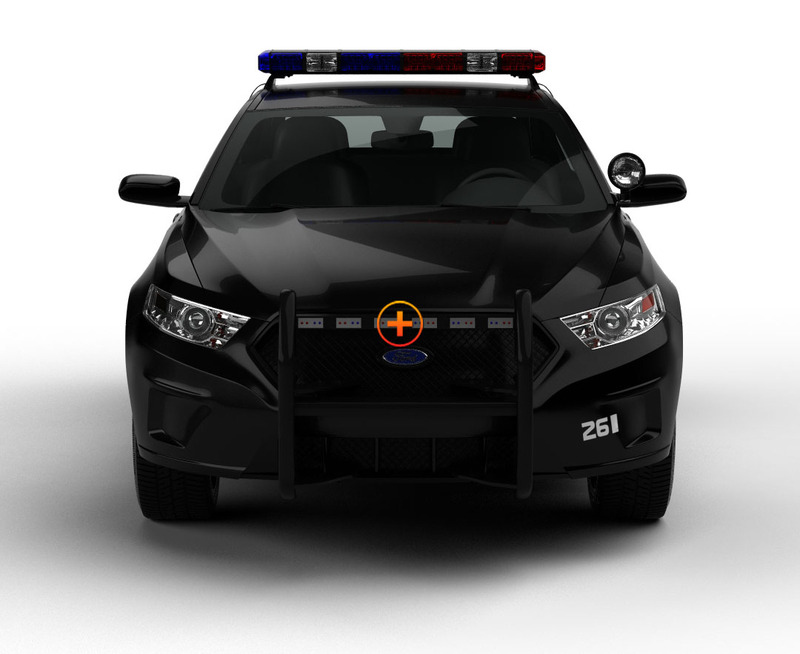 It comes with a combination cigarette lighter power plug with a power switch for easy access to 2 controls--ON/OFF and Flash Patterns, and it can also be hardwired to any light or siren system already in place. 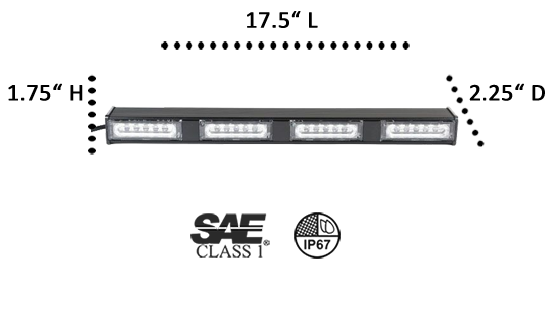 The multi-functional Chameleon 4 LIN is only 17.5” long, so it can be installed as a single unit or in pairs which would shower your police vehicle with 96 Watts of strobing light. It comes with pattern memory, so even after you turn off the light system, it will pick up right where it left off! No resetting is necessary.